Yesterday was bizarre. Early in the morning, while sitting in my car (getting ready to take my dog out) I observed a white male jogger stop near where our neighborhood coyote was lying hidden in the bushes. He was angry and started waving his arms menacingly as he quickly walked towards the bush. The coyote froze for some reason. The man in a very angry tone started shouting, ”Get outta here you nasty thing”. Next he started kicking the bush. 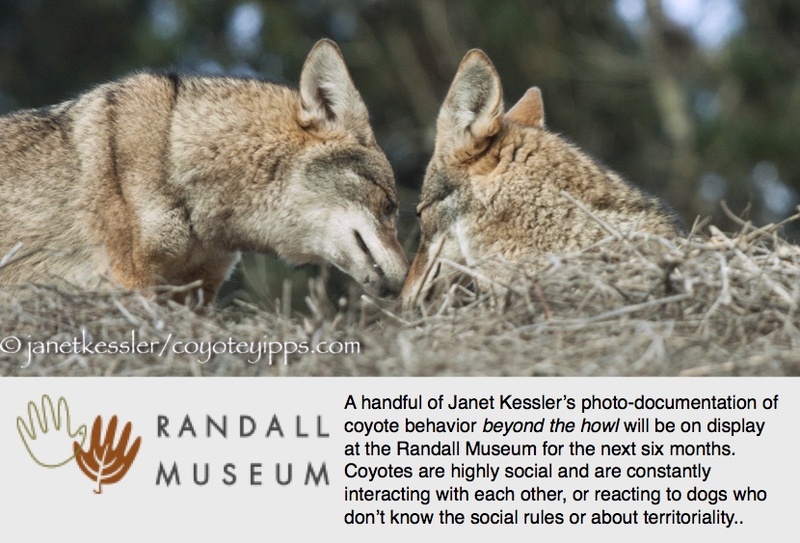 I jumped outta the car & asked the man to leave the coyote alone — that he had been injured. He said, “Lady I don’t have to”. At that point a Mom driving her daughter to school, stopped her car. She willingly took the time to talk to this man. She walked up to him and said she had seen what was going on and wasn’t going to leave until he did. What a gal! She was spectacular. Her name is Lisa. We exchanged phone numbers. At that point, she persuaded the man to leave. She is very fond of our neighborhood coyote as well — as appear to be most folks as they get to know about him!! THEN, a neighbor, Jake, who lives across the street came out and said he wanted to help. He had seen the incident unfold while he was getting dressed for work. What is great here is how our neighbourhood community positively responded when we saw a mean person trying to hurt a wounded coyote. I am proud of my community for quickly defending our wild neighbour whom we have become deeply fond of.